Not Pizza again? Hold on, there is but… there’s pasta as well! Don’t leave yet! With the explosion of Neapolitan pizza restaurants in Glasgow over the past few years, the pizza bar has been raised. We’ve been Paesano and Mozza adherents for a while now but we had yet to have a meal together at Baffo in the west end. A visit to see Dippy at Kelvingrove art gallery and museum, just across the road, gave us the perfect excuse to visit Baffo, which is easily recognised thanks to the brightly lit red neon moustache. 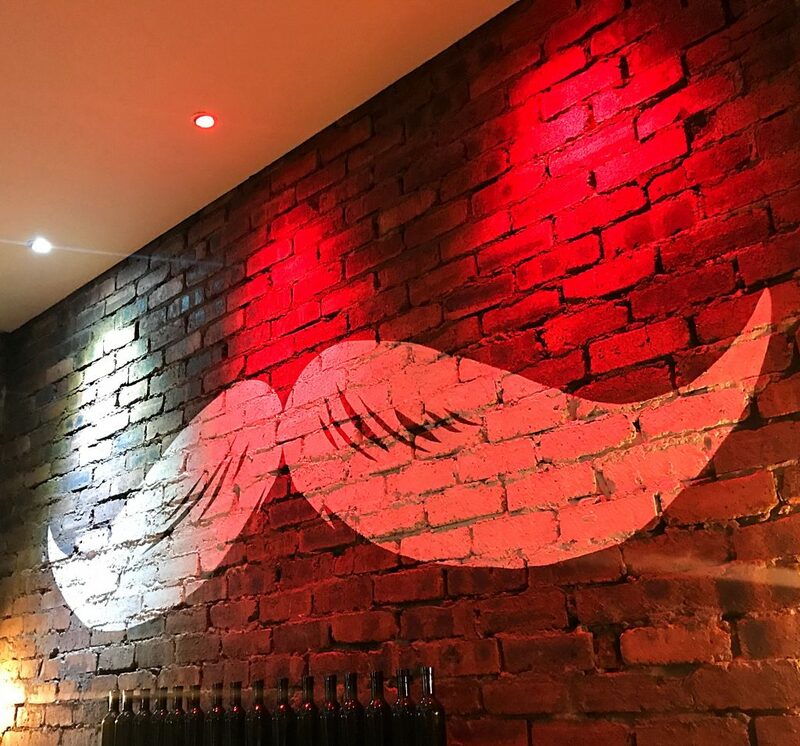 You see ‘baffo’ means ‘moustache’ in Italian but interestingly it seems that it can also mean a cat’s whiskers, lips or just splendid, and we guarantee that you’ll be licking your lips after reading about the splendid food! Proponents of eye-catching half-metre rectangular pizzas for sharing, they also do regular 12 inch round pizzas. They source their flour from Italy and their dough proves for at least 36 hours. The single large oven at the back is also from Italy but uses gas rather than wood and in true Neapolitan-style, pizzas go into the super hot oven for a mere 60 – 90 seconds. The light and airy base is one of the best in the city and there’s a choice of 15 regular toppings to be had, from the classic Margherita to the oh so nearly ordered Incazzata. The special of salmon, mashed potato, rocket and scamorza (smoked mozzarella) on sale during our visit was a combo worthy of further investigation, and surprisingly good it was too. The salmon was not overly oily or fishy, the potatoes cooked just right and smoked mozzarella always works for us. But it’s not all about pizza here. The menu has a wide selection of antipasto, bruschetta, sides and pasta too. 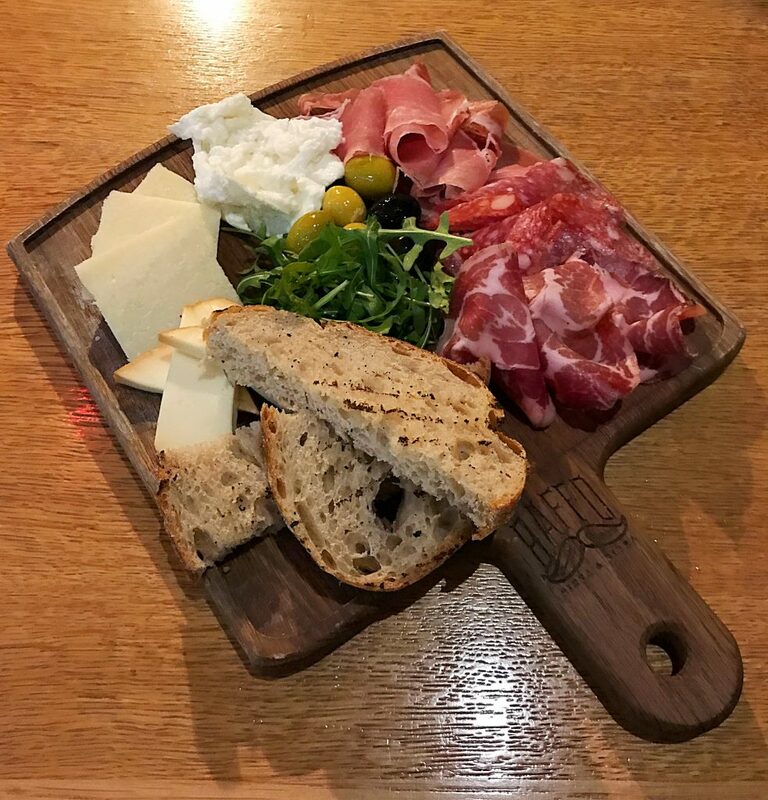 The Baffo antipasto was ordered for sharing, with just the right amount of meat and cheese to get the meal started. Pasta-wise, gnocchi and rigatoni feature. Coated with toppings such as Pomodoro sauce, fennel sausage. We went back to basics with al dente rigatoni and Pomodoro sauce with a sprinkling of Parmesan. Large tubes of pasta, evenly coated in a tart tomato sauce. Just what was needed on a chilly evening. The remaining sauce in the bowl was soon scooped up with a stolen piece of pizza crust, bliss. 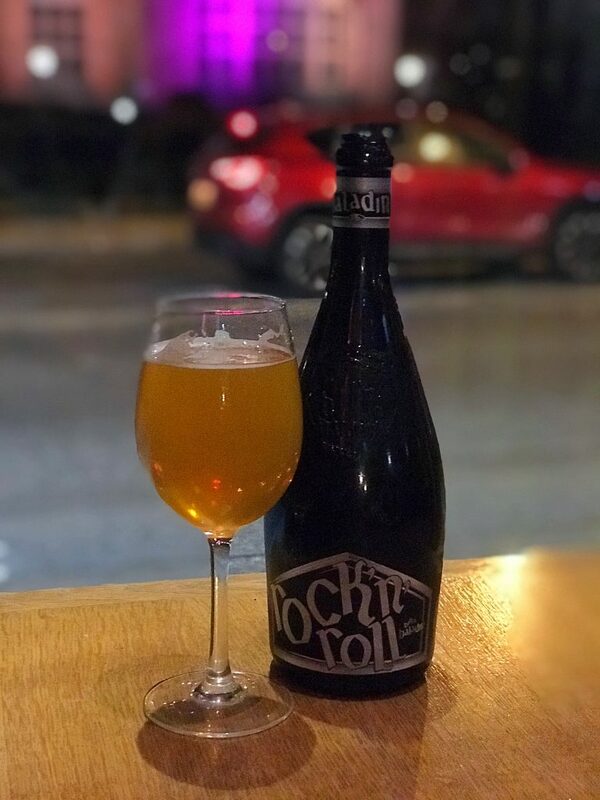 Alongside this, we quaffed a bottle of Baladin Isaac, a fruity and herby Italian witbier, which we followed with the Baladin Rock’n’roll, a pale ale brewed with pepper of all things! The Baladin beers come in huge, wine-sized bottles in a variety of styles so are ideal for sharing. Service was very Italian, friendly and relaxed. The restaurant was busy with a steady stream of dinners and takeaway orders. Toilets were clean and tidy. Don’t be ashamed to order a big huge pizza. Be sure to order a bottle of Baladin beer. Sleeps and writes about food and travel. Partial to watching a bit of crime.